Most of you will know my Red Mini. After a lot of deliberation I am selling the car I have had for about 14 years. 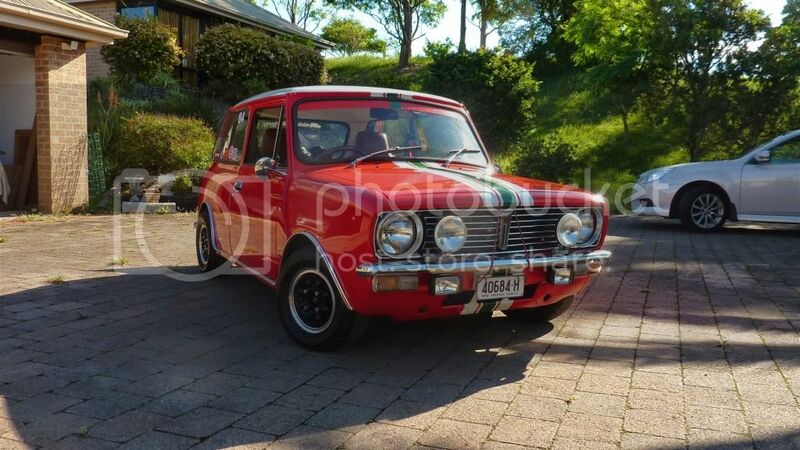 A mate owned her for17 years before that and he bought her from his Aunty who bought the car new - so there we have it - the full history and books etc. If you have run with us on MITG you will know the car 'punches above its weight' (not my expression - it was another enthusiasts comment). 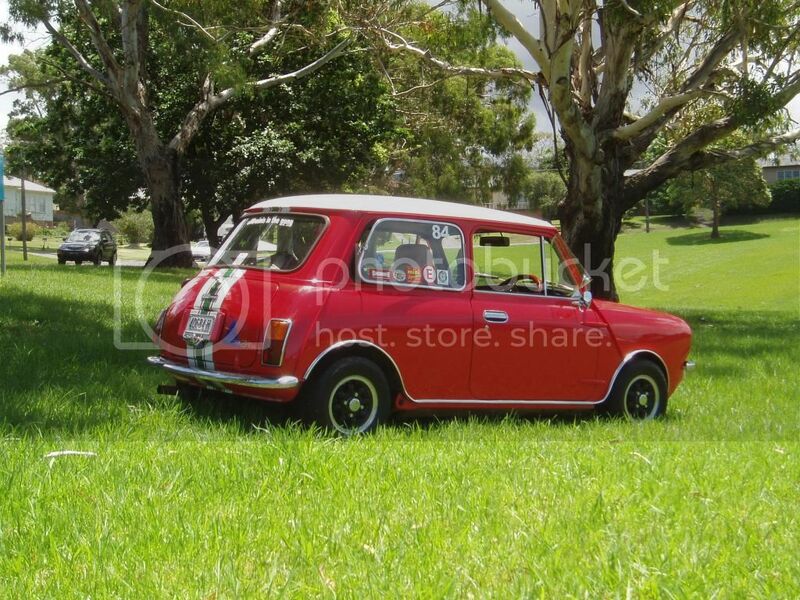 This car may be the most reliable Mini in Australia. 144,000kms and the engine has never been out because its been meticulously maintained. I only want to sell her to someone I know & I can see her occasionally. Rego not transferrable - must be a member of a car club. When I have a spare hour or so I will be posting on eBay etc. Hi guys - the time as come i am moving to a home unit in the future so my red car is now on eBay starting price $4000.00. 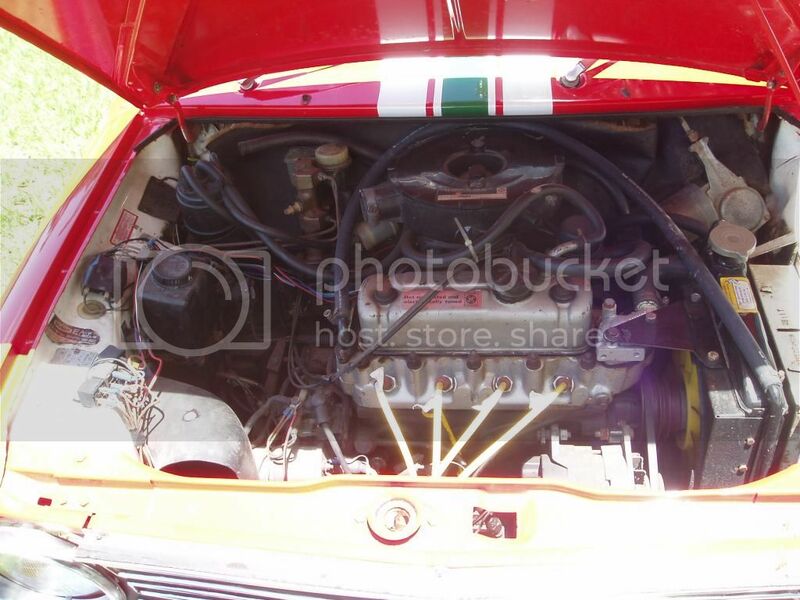 The car was sold to a collector in Melbourne on eBay.